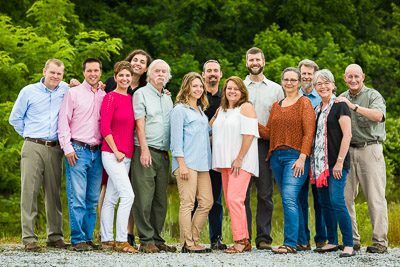 A group of devoted individuals, with diverse skills and backgrounds, the Mainspring staff is proud to carry forth the legacy of conservation in the Southern Blue Ridge to ensure the natural and cultural resources and beauty of this region remain for generations to come. 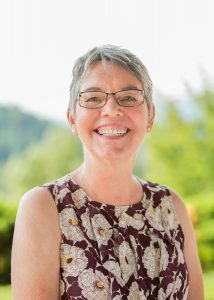 After building Mainspring’s land protection program into one of the strongest in the Southern Blue Ridge, Sharon became just the second Executive Director in the organization’s history in 2015. Sharon grew up in the Burningtown Community in Macon County, North Carolina. Her love of the outdoors led to a Natural Resource Management degree at Western Carolina University. 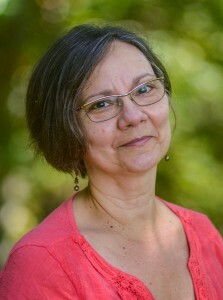 Prior to joining Mainspring in 2001, Sharon worked as a Research Technician for the University of Georgia at Coweeta Hydrologic Laboratory. During her 14-year tenure as Land Protection Manager and then Deputy Director, Mainspring protected 33 miles of the Little Tennessee River and conserved 24,000 acres of land, including all municipally owned watersheds west of Waynesville. Sharon was instrumental in launching conservation initiatives with the Eastern Band of Cherokee and merging the Little Tennessee Watershed Association into Mainspring, expanding the core initiatives to include water restoration and youth education. Sharon and her husband live in northern Macon County and enjoy spending time outside and opening their home to friends and family. Sharon grew up in the Otto community of Macon County and graduated from Franklin High School. Prior to working for Mainspring, Sharon worked with the Little Tennessee Watershed Association from 2008-2011 as their Bookkeeper/Administrative Assistant. There she was responsible for grant reports, accounts payable and membership. 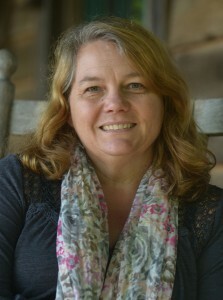 In January 2012 the Little Tennessee Watershed Association merged with the Land Trust of the Little Tennessee and Sharon continued on as an Administrative Assistant, and added Development Assistant to her role in 2014. She now assists with mailings, donor stewardship, grant budgets/reporting, accounts payable and helping maintain land records. She lives in the Holly Springs area and loves kayaking, camping and hiking. As Stewardship Coordinator, Dennis’ responsibilities include oversight of baseline documentation and monitoring of Mainspring’s conservation easements, and of land restoration and management projects on Mainspring’s properties. Dennis has a B.S. in Natural Resources from Ohio State University, and a M.S. in Forestry from North Carolina State University. His international career in community forestry, agroforestry, and soil conservation took him to assignments in Latin America and South Asia. 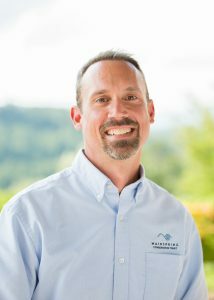 Prior to joining Mainspring, he managed the Sustainable Forestry and Wood Products program at Appalachian Sustainable Development (ASD) in southwest Virginia, where he still owns forest land. Dennis is an NC Registered Forester (#1515) and a licensed NC Ground Pesticide Applicator (#026-24028). 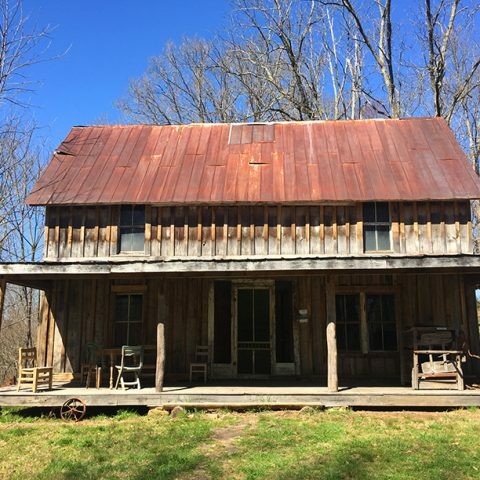 He lives with his partner, Mary Bennett, in the Burningtown area of Macon County, where he enjoys home improvement, woodworking, and gardening. He is also an avid hiker and traveler. Among his life goals are completion of the Appalachian Trail, which he started in 1980, and to never own a suit. 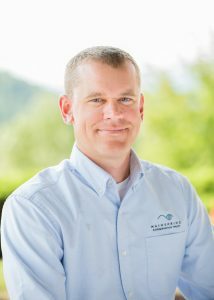 As Deputy Director, Ben oversees Mainspring’s aquatic and riparian restoration programs and brownfields work. He also works closely with the Executive Director and, with the ED and Finance Manager, oversees preparation and tracking of Mainspring’s annual budget. Ben joined Mainspring in 2012, first as Restoration Coordinator and then as Associate Director. Prior to that, he spent eight years as a Senior Biologist/Project Manager at a North Carolina-based environmental consulting firm, with projects located throughout the Southeast. Ben’s responsibilities included agency coordination and project management, technical guidance, proposal and grant writing, survey coordination and implementation, and Environmental Assessment preparation. He worked extensively with the US Forest Service, Eastern Band of Cherokee Indians, Bureau of Indian Affairs, state Departments of Transportation, local governments and private entities. 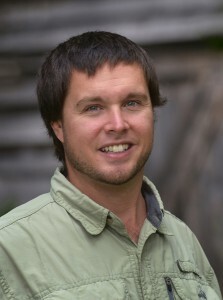 Ben’s academic background includes a Ph.D. in Forest Resources (Wildlife Ecology and Management) from the University of Georgia, a M.S. in Biology (Vertebrate Zoology) from the University of Memphis, and a B.S. in Forest Resources (Forest Science) from the University of Georgia. 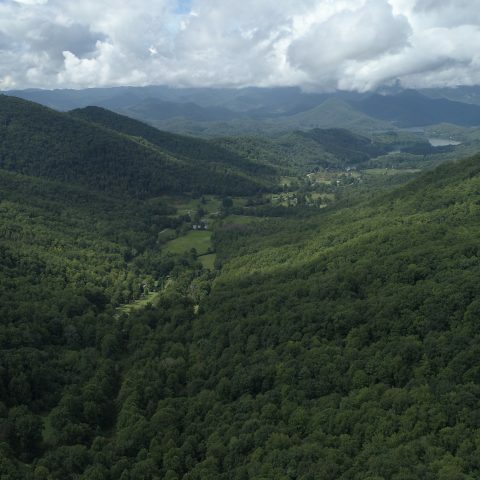 Ben, his wife Stephanie, and their two children live in southern Macon County and take every opportunity to explore the uplands and waterways of our southern Appalachians. Dr. William O. McLarney holds a PhD in Fisheries from the University of Michigan but considers himself an aquatic conservation biologist. He has worked in aquatic ecology in the Great Lakes region and Alaska and was a cofounder and director of aquaculture research for the New Alchemy Institute in Massachusetts. 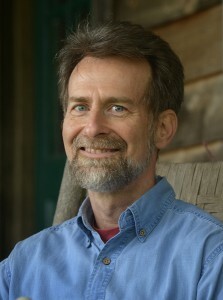 He splits his year between Macon County, North Carolina where he has directed a biomonitoring study of the upper Little Tennessee watershed for over 20 years and the Talamanca region of Costa Rica where he founded the Asociación ANAI, one of the most successful conservation and sustainable development organizations in the tropical world. The Biomonitoring Program at the Little Tennessee Watershed Association is one of the most successful in North America and its success led to a North Carolina Governor’s Award for Water Conservationist of the Year in 1994, a River Heroes Award for Dr. McLarney from River Network in 2004 and a Roosevelt-Ashe Society Award for “Outstanding Scientist in Conservation” from WildSouth in 2009. Bill also has a terrestrial home and family in the Oak Grove Community. As Aquatic Programs Manager, Jason is responsible for engaging youth and adults in the community in the work of Mainspring. He also serves as the Project Coordinator for stream restoration activities and the Biomonitoring Program. Jason has been an outdoor enthusiast all of his life. He grew up hiking in the woods and swimming in lakes and streams. This background led him to pursue degrees in natural resources. Jason received his B.S. in Marine Sciences from North Carolina State University (2004). He later completed his M.S. in Forestry and Natural Resources (2008) with a concentration in fish/wildlife populations, specifically working with freshwater mussels. Jason lives in Otto with his wife, Kristen, and children, Katie and Wyatt. He enjoys fishing, paddling, snorkel/SCUBA, hunting, mushroom collecting, and decoy carving. Kelder wears some of Mainspring’s muddiest boots on the ground. He first joined the non-profit part-time in 2013, assisting with easement monitoring and property stewardship. Kelder became our full-time Stewardship Associate in 2015. Complimenting those other Stewardship duties, Kelder is Mainspring’s primary GIS technician and licensed pesticide applicator. On any given work day Kelder might find himself on a remote easement boundary, in a thicket of invasive plants, or at his desk making a map. Kelder grew up in Carrboro, North Carolina. He has earned a B.A. in Geography from the University of North Carolina and Master in Biology at Western Carolina University. Kelder originally got involved with Mainspring as an intern while studying at the UNC Institute for the Environment field site in Highlands, North Carolina. Though he once worked as a seasonal botany technician and made a couple road trips across the continent, Kelder has happily settled down in Sylva with his wife, Heather. A lifelong runner, Kelder also enjoys cooking, reading, backpacking and simply playing outside. Molly brings more than 10 years of non-profit development work to Mainspring. She previously served as Regional Director of Development at Pursuant, a Dallas-based full-service fundraising firm that works with non-profits. Molly also worked at her alma mater, Arkansas State University, in both alumni and development. In the position of Communications Coordinator, Molly coordinates the integration of Mainspring’s fundraising, marketing and communications programs. 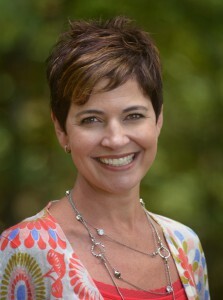 In her spare time, Molly is busy with her children, Kate and Eli, and husband Randy. Sara was born and raised in the Ranger Community of Cherokee County, N.C. and received a B.S. in Environmental Sciences from UNC-Chapel Hill in 2013. During her college career, she concentrated on bacterial water quality and spent six months working under Rachel Noble, PhD at the Institute of Marine Sciences in Morehead City. Sara was awarded the Emerging Scholar award for her senior project work at the marine lab. In her role as Hiwassee Programs Manager, Sara leads both land conservation and educational outreach projects in that territory. She lives in Murphy, North Carolina and works out of Mainspring’s office in downtown Murphy. Jordan Smith was raised in western North Carolina and spent much of his youth outdoors before leaving the mountains to earn a degree in Wildlife Management from Auburn University. 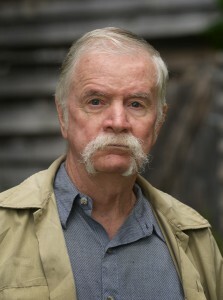 He worked for Brosnan Forest with the Norfolk Southern Corporation in Dorchester, South Carolina in a number of roles, including Field Supervisor of the 16,000-acre working forest, and for The Westervelt Company in Tuscaloosa, Alabama, as their Hunting Lease Manager and Recreational Properties Coordinator. 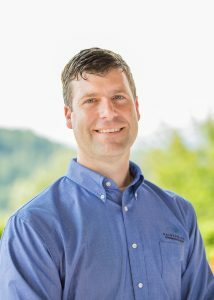 As Land Conservation Director, Jordan manages the initiatives of Mainspring’s land acquisition program, including landowner outreach, receiving conservation easements, and land purchases and sales. He also helps direct land conservation grant applications and the expansion of Mainspring’s strategic plan for land conservation. Jordan lives in Swain County with his wife, Vanessa and their two daughters. The family spends the majority of their off-hours traveling and enjoying the outdoors. Jordan enjoys hunting, fishing and gardening and is currently trying his hand at beekeeping. Ramelle Smith was born in England and raised in Ohio and South Carolina. In 1976, after a camping trip to Wesser, NC, she moved to Swain County to enjoy the mountains of WNC. 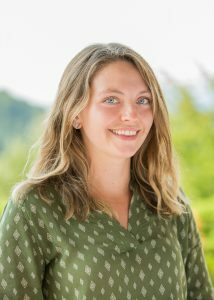 She has worked for Nantahala Outdoor Center, Nantahala Village and Watershed Cabins, primarily in accounting, human resource and office management. Ramelle and her husband, Mike, also own and operate Turkey Creek Campground in Almond, NC. TCC caters to campers who enjoy all the great outdoor activities and, who want to experience the natural beauty of this area. Ramelle joined the staff of Mainspring in 2007 and her background in various fields has helped her with the multiple hats she wears on a day-to-day basis. Though her job mainly revolves around numbers, her concern for the health of these mountains is what drew her to Mainspring. She is interested in steep slope and viewshed issues, as well as over-development and water quality. In addition to her campground and Mainspring jobs, Ramelle is passionate about animal rescue and volunteers with charitable events when she can. As Development Director, Cris is responsible for Mainspring’s major gift and planned giving strategies and goals. Cris joined Mainspring in June 2017, one month after receiving his Master of Public Affairs from Western North Carolina, with a concentration in nonprofit management. Cris also holds a B.S. in Social Work and most recently served as supervisor in the Eastern Band of Cherokee Indians’ Family Safety Program. Cris is a part-time fly fishing guide and enjoys helping his clients understand how care of the environment is connected to the sport. Cris and his wife live in Jackson County with their three sons. Jeffrey is a native of Raleigh, where he developed his love and passion for the natural world exploring the captivating museums located there. 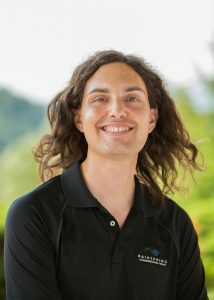 Jeffrey now calls the mountains of North Carolina his “home away from home” after attending the University of North Carolina at Asheville, where he graduated with a B.S degree in Environmental Studies in 2016. Jeffrey built on his knowledge of natural resource conservation by participating in two AmeriCorps programs in 2017 and 2018. 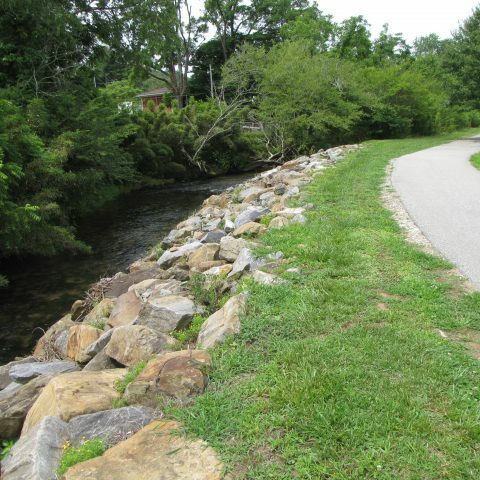 He served with Knox County stormwater management in Knoxville TN as well as American Conservation Experience’s Southeastern branch in Asheville NC. 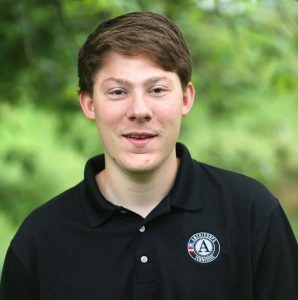 Jeffrey is now serving at Mainspring through AmeriCorps Project Conserve. During his six-month service, he will manage habitat for wildlife and rare plants, improve existing and planned trails, and educate the public through interpretive materials and educational events. Jeffrey will also help lead aquatic biomonitoring. He plans on applying for graduate school in fall of 2019 in an Environmental Science program.